To millennials, jobs like Blacksmithing, Wax-Chandling, and Coachmaking may seem left in the darkened ginnels of Victorian Britain, or reserved for the realm of fairy tales and Game of Thrones. To the apprentices learning the trades with the Livery Companies, however, they contribute to today’s society more than ever. The City of London has always prospered from the work carried out by the Livery Companies – bodies of tradesmen and women who represent their crafts, from traditional trades like Fishmongery and Haberdashery, to modern enterprises like arts scholarship and Hackney Carriage driving. For over five centuries, the City has relied on these Companies – and their apprentices – to sustain its reputation as a leading hub in international business. Brexit means it’s imperative that London remains central on the global stage. 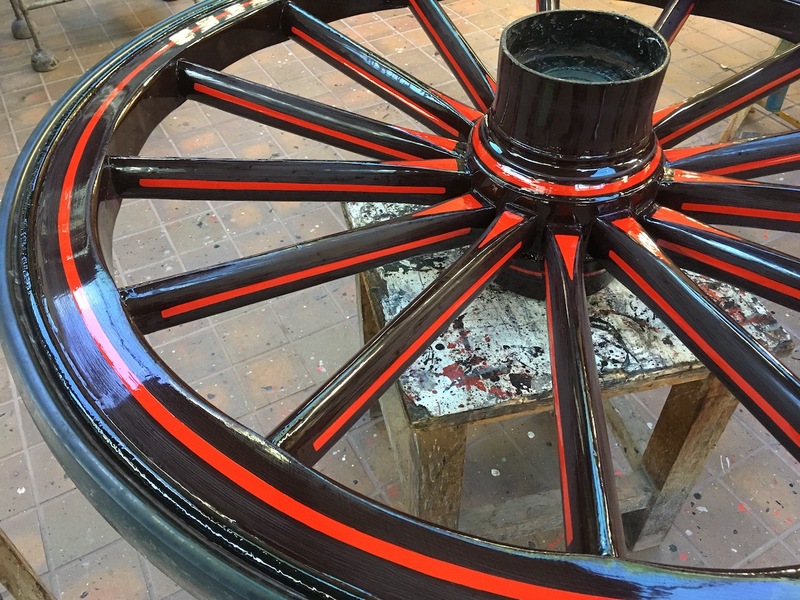 And LCAS – the Livery Companies Apprenticeship Scheme – is recognising the value of vocational skills that has been rediscovered in recent years. It aligns the traditional approach to apprenticeships – established in London back in the 12th century – with modern vocational learning. Together with OneFile – the Queen’s Award-winning eportfolio recognised for innovation – LCAS is combining tradition with technology to facilitate the Livery Companies’ role in modern skills development, and bring their trades into the 21st century. And what better place to put a Queen’s Award-winning eportfolio to use than at Buckingham Palace? 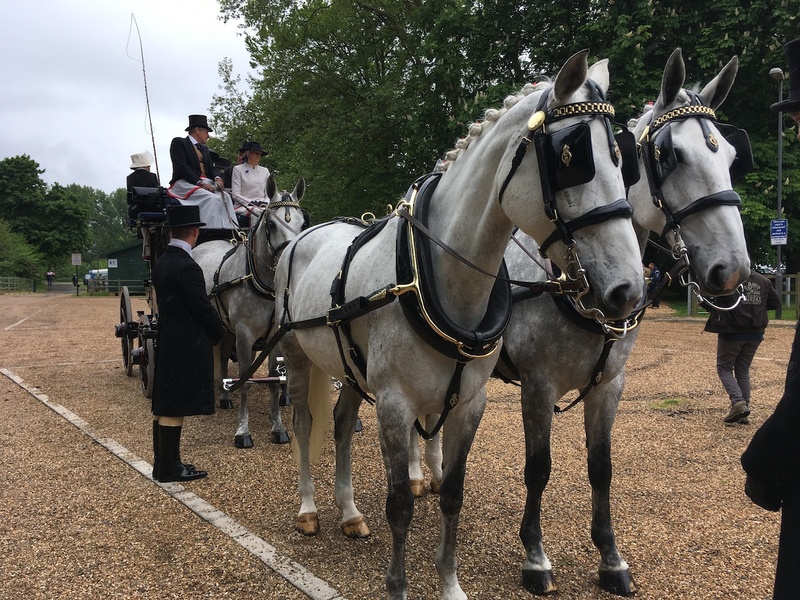 At the heart of the work carried out by the Coachmakers Livery Company is the maintenance of ornate carriages for the royal family – and apprentice Kirsty Thomson is using OneFile to complete her Coachmakers’ and Coach Harness Makers’ apprenticeship at the Royal Mews, Buckingham Palace. Kirsty is an award-winner herself, having achieved 7 prizes at the National Saddlery Awards in 2017, following an exciting journey into the world of apprenticeships. From Harness-Making to Bee-Farming, many LCAS apprenticeships demand strong practical skills. With OneFile, it’s easy for apprentices to record practical evidence on the job, offline, using simple snap-and-sync technology. Importantly for LCAS, it’s easy to use for all parties. LCAS has had great success with their apprenticeships so far, with retention figures sitting well above the national average. The development of their innovative apprenticeship scheme has prepared them well for the apprenticeship reforms. Where apprenticeships used to be one-size-fits-all programmes, the new apprenticeship standards allow companies to tailor the standards to their expectations – just as the Livery Companies have been doing for 5 years. OneFile strives to stay ahead of the curve. To maintain its reputation for innovation – and to ensure its users get the best experience – it’s put a whole host of features and functions in place to tackle the apprenticeship reforms. From recording off-the-job training to a portfolio showcase, OneFile is ready for the apprenticeship standards. London is an international city, and it’s growing quickly – but at its heart are the traditional trades championed by the Livery Companies. Now, OneFile and LCAS are empowering young people to contribute to London’s fast-paced future and uphold its traditional values. Chris Whalley and Susanna Lawson will be visiting Buckingham Palace on 11th July 2017 to receive OneFile’s Queen’s Award – from Her Majesty herself!